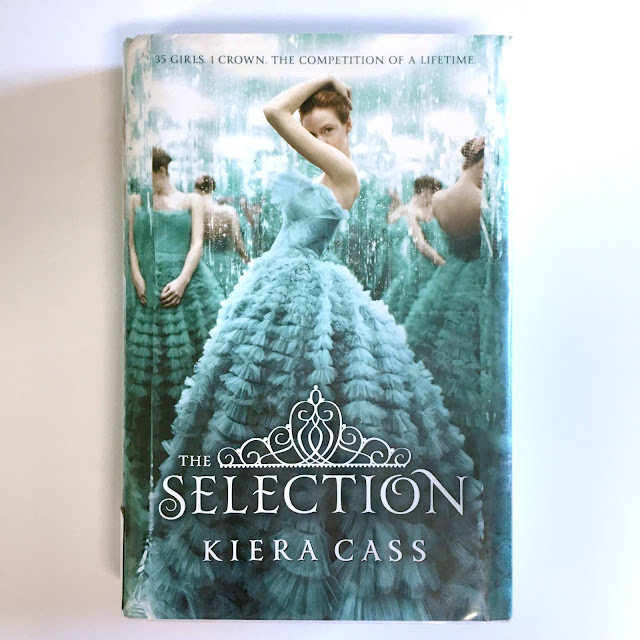 Last year I read Kiera Cass's best-selling series, The Selection. Wanting to catch up on recent popular young adult novels, these titles quickly joined the list when I checked my Goodreads account and saw I had nearly 30 friends who'd read book one. Along with Marissa Meyer's Lunar Chronicles series (which I posted about here) this was the first time I'd ever read companion stories to a series that follow numbering methods to suggest where additional tales fit into larger contexts. For example, you might not only have novels 1, 2, and 3, but short stories or novellas numbered 0.5, 2.3, and 3.6. This was entirely weird to me. 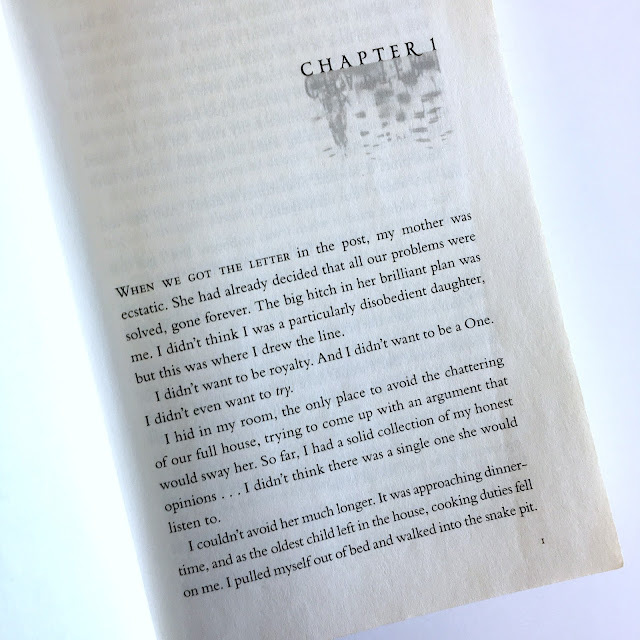 While I can appreciate how die-hard fans would love these supplemental peeks inside characters lives, isn't it also a cheap money-making scheme taking advantage of YA readers? Have you read books like this before? That being said, the series is essentially a teen version of The Bachelor, royal style. Girls fight to date and marry a future king and companion stories follow the preceding and subsequent generations. If you're going to read a series like this that comes with companion pieces, I suggest reading the major novels first and then going back and adding in the supplemental stories. I've listed them chronologically below, but I read numbers one through five before going back and reading 0.4, 0.5, 2.5, and 2.6. See, I told you it's like The Bachelor. While my ratings on various installments ranged from 1 star to 3.5 stars, on the whole I fell somewhere between thinking it was okay (2 stars) and I liked it (3 stars). [All of this obviously very scientific.] It's light, easy, guilty-pleasure reading. YA romance meets reality TV with crowns and fancy dresses thrown in. A warning that there are spoilers posted throughout my mini-reviews, so if you're just looking to check out book one, read no further down than that. 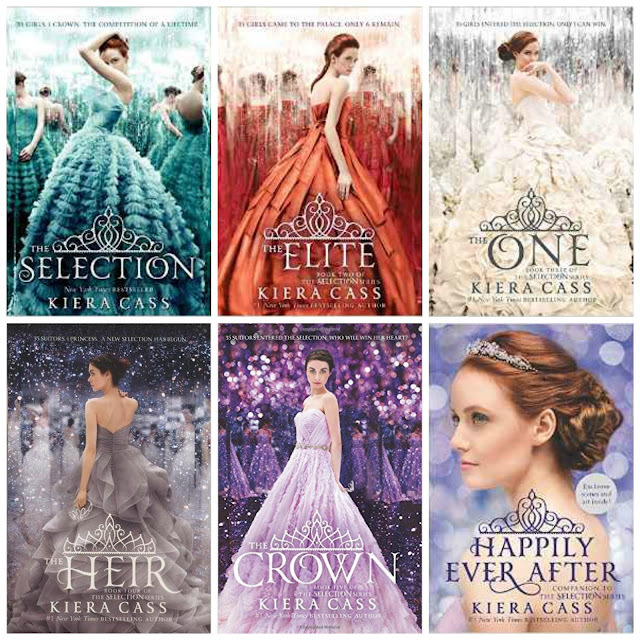 Let me know in the comments what you think about The Selection series and what other YA series you think I should check out. [1 star] This story is included within the Happily Ever After collection and details the life of Prince Maxon's mother prior to book one. My response? No, no, no. If the author has to preface the book by claiming she's not condoning an abusive relationship, then warning, danger Will Robinson, danger! [2 stars] This story is also included within Happily Ever After and tells readers about Prince Maxon's love life prior to ever beginning the selection process in which he meets America. POV-switch novels always seem like a lazy way to make money and take advantage of young, loyal fans. Meh. [3 stars] Boys and girls, start your flirting engines. I've never seen a full episode of The Bachelor, but now I feel as if I have. This book was pure cotton candy and I admit I totally wanted to read what happened next. [2 stars] *eye-roll* Picking up where The Selection left off, Prince Maxon has narrowed down his group of contenders from thirty-five to six. A lot of catty fighting ensues. I was told the third book was better, so I carried on, but I would also image that to true reality TV fans, this book may be their favorite. [3 stars] This story is included within Happily Ever After and gives a peek into the life of the boy America ditched to pursue Prince Maxon. Aspen Leger is now stationed as a guard in the castle--enter awkwardness and drama--but the point-of-view in this short story was very likable and overall it was my favorite supplemental installment. [2 stars] This is the last story included within Happily Ever After. Apparently I don't yet understand how these in-between stories work. One would think you could read "2.6" before "3" and be fine, but this included many spoilers. It's the story of Marlee, one of America's maids, and Carter, the guard she loves. The class difference between them and some other contributing factors complicate their relationship until Maxon steps in to save them. [2 stars] In this novel, the winner of the selection process is chosen (obviously, it's America). The author tries to complicate the situation by adding in a new level of political uprisings within the kingdom, but they didn't feel well thought-out and there are too many damsel in distress moments. At this point, undoubtedly Aspen is a more likable character than Maxon and America combined, but sadly the book is not about him. [3.5 stars] Definitely the best installment in the Selection series. The novel still features the silly bachelor/bachelorette framework, but now with the next royal generation. Princess Eadlyn's character (flaws and all) are more believable, the writing is better, and the political uprising is more compelling than it was previously. [2.5 stars] The conclusion to the series was a bit of a let down. It's time for Princess Eadlyn to choose a husband, but of course she feels conflicted. There are some interesting contenders, but everything happened too easily and there wasn't enough political drama given the seeds planted within the last two books. FYI, if you're a big fan, they've released a coloring book based on The Selection series. Given all of the fancy dresses, this might be fun for audiences. I've also read Kiera Cass's YA novel The Siren (review forthcoming).